Jennifer Silvera found that finding something to look forward to helped her to be able to keep moving forward in her grief journey. She decided to do something for her husband, to show how much she loved him, and to show people just what a remarkable person he was. Jim was an underwater photographer who had some photographs that were stunningly professional even though he had never had any formal training. His dream had always been to have his photographs published in his favorite dive magazine. So, she began a crusade to accomplish that for him and succeeded. Other ways a widow can create something to look forward to is to perhaps plan a trip to get away every few months just for a change of scenery. Yes, your grief goes with you, but I find that a change of scenery somehow breathes a bit of hope into my life even during those times when I felt the most hopeless. If you are a younger widow with children at home and cannot plan a trip away, then plan a few hours or even a day out with a friend to give you something to look forward to. Another idea to give you something to look forward to is to create a collage of your husband’s life for yourself and have copies made for those in your family who would truly appreciate it. “They were cement blocks falling from the sky and crashing on my head. I might be doing pretty good, considering the cards I’d been dealt, then something would trigger the knowledge that, indeed, life as I knew it was over. * Waking up every morning and realizing that this is not a dream. For months, I would cry myself to sleep, then upon waking, just as a sliver of consciousness forced its way in, even though my eyes were still closed — BAM! — a reality brick dropped like an anvil. Then came the thought suddenly like a knife at my throat — It really happened. He’s not lying next to me. He never will be again. He is dead. So I’d cry myself awake. The days began and ended with tears. The mornings were always — and still are — the worst part of my day. I still have to force myself to get out of bed each morning, dreading the fact that I must face yet another day without Jim. * Every holiday, birthday, and anniversary. It’s the classic ‘Empty Chair Syndrome.’ The fact is made blatantly obvious by the occasion that someone is missing, someone who is supposed to be there but will never arrive. * Reading Jim’s obituary in the newspaper. When I wrote it, I was definitely on mental autopilot. I simply summed up his thirty-eight years into four paragraphs, scanned a decent photo of him, and sent it to the newspaper via cyberspace, as if I was sending someone a recipe or something. It just wasn’t real until I saw it in the newspaper a few days later. Seeing it in print on the daily page dedicated to World Trade Center victims, that’s when the brick hit — and it was a big one. * Shopping for greeting cards. I never realized I’d never buy another husband card again, nor would I ever again receive a wife card. * Opening his closet or dresser drawers. At the time of this writing, I avoid doing either. and if I absolutely have to go in there, I have a meltdown. Right there on the spot. A big part of this is what I call ‘olfactory overload.’ His clothes still smell like him, so if I open Jim’s closet, I get slammed with a scent that triggers a nerve in my brain, and that nerve triggers another nerve, which fools me into thinking — for a split second — that Jim is there in the room with me. Then that nerve triggers the reality nerve, and the whole thing goes downhill from there with bricks flying everywhere. Marta Felber is a professional counselor who knows first-hand what it is like to lose a husband. She found it helpful to write down her feelings, problems, lists of things to do, etc. Her own personal faith was key to her grief journey. Marta encourages the reader to keep in mind that there is no set schedule in your grief journey, but the most important thing is to just keep moving. “I have what I call a comfort “cozy”: an afghan that my favorite aunt lovingly made for me. Yours might be a family quilt, a warm blanket, an enveloping coat that belonged to your loved one. Choose a spot in your home to claim as your “comfort place”–an easy chair that you normally don’t use or your loved one’s special chair—and spread your comfort cozy there, ready to surround you when you sit down. In her book Marta talks about accepting the crying, asking for a hug when you need one, recognizing denial, ignoring certain messages, assuming control, focusing on your grief, facing your fears, and how to measure growth and accomplishment among many other topics. 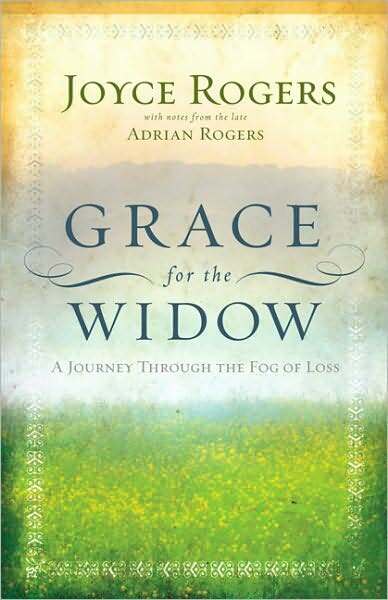 This is an excellent book for a widow to read early in her days of loss because it is written in short, easy-to-read chapters. 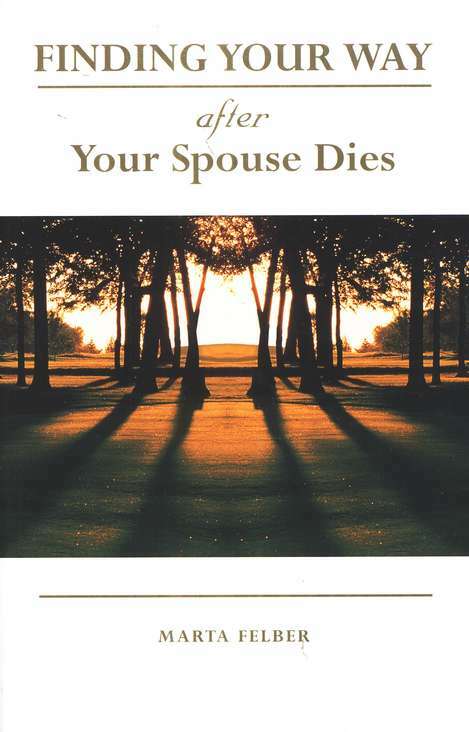 Reading and comprehending after the loss of a spouse is very difficult for awhile. A widow can pick up this book very easily and read one short chapter at a time finding comfort and affirmation of all the emotions that she is experiencing. Thank you, Marta, for sharing with us what you learned in your grief journey and for sharing it in a way that even those just recently widowed can benefit from it. Leona Choy was married for 45 years and served with her husband Ted in mission, church, and educational work in Hong Kong, Singapore, China, and the United States. On the 2nd anniversary of her husband’s death, she realized that she had set higher expectations of herself than God did and had been trying to hurry through her grief journey which God lovingly provides for those who lose someone they love. Leona sincerely assumed that a Christian “should grab a vine, as Tarzan did, and swing over the chasm between loss and moving on”. She attempted to be “superlady” thinking that was what everyone expected of her. “I had to learn that a widow’s journey is not an airborne experience by which she can fly over the inevitable, prescribed landscape of loss. I can’t take a helicopter over grieving just because I have strong Christian faith, trust in God’s sovereignty and am sure that my husband is safe and happy in the presence of Jesus. We can’t hop in a plane called HOPE and rise above normal, human feelings. Good grieving is a ground transportation experience. ” She decided she must go back to confront and embrace her honest emotions. The chapter titles in this book include: Singled Out by God, Experiencing Good Grief, Don’t Push Me Through the “Stage” Door!, Making it Through Those “Firsts”, Checking My Scriptural Anchors, Refocusing My Relationships, Potholes on Adjustment Avenue, Resetting My Compass, and Receiving God’s Assignment. * Hugging is healthy: It helps the immune system, cures depression, reduces stress, induces sleep. * It’s invigorating, rejuvenating and has no unpleasant side effects. * Hugging is nothing less than a miracle drug. * Hugging is all natural: It is organic, naturally sweet, no pesticides, no preservatives, no artificial ingredients and 100 percent wholesome. * Hugging is practically perfect: There are no movable parts, no batteries to wear out, no periodic checkups, low energy consumption, high energy yield, inflation-proof, nonfattening, no monthly payments, no insurance requirements, theft-proof, nontaxable and non-polluting. * Of course, hugging is fully returnable. This is one of those books that a widow can read over and over again and continue to find more and more rich treasures to help her through her journey. Many thanks go out to Leona for being honest enough to share with her readers that being a follower of Christ doesn’t make a widow a “superlady” — especially when it comes to grieving the loss of her husband. In 1996 when Kristine’s husband died of pancreatic cancer leaving her with two teenagers, she found herself in a desperate place – a place of “how do you really trust God”. This book is a result of the answers that she found. THRIVER – Some power, Some control, Multiple choices. The author talks about how family and friends want to listen to you, but may have unexpected and negative reactions to your thoughts and areas of struggles. She reminds you that you can always verbally unload on God at the top of your lungs because He’s the only one that understands you and has the resources to help you. God knows that the widow’s nature and needs do not change after her husband dies. He also knows that her desires must be tended to and nurtured for her brokenness to be healed. Dr. Willard Harley says, “The first and hardest loss a widow will experience will not be the sexual relationship but the desire for affection, attention, and the sense of being loved by a man.” Kristine does go on to discuss what a widow is to do if she finds herself desiring a sexual relationship. In chapter eight this author talks about the widows who are struggling to help their hurting children cope with the loss of their father. She talks about the children’s struggle with death and then goes on to give guidelines from God’s Word for raising children. 2. I manage money for God. 3. Every spending decision is a spiritual act. 4. Contentment rules our hearts. 5. Debt is dangerous. Get rid of it. Stay away from it. Use it very, very sparingly. 6. Saving and investing are wise, but we should not put our trust in them. 7. Giving is a gift to the giver. At the end of each chapter is a study guide with a set of questions designed to help you break down the information that has been given. 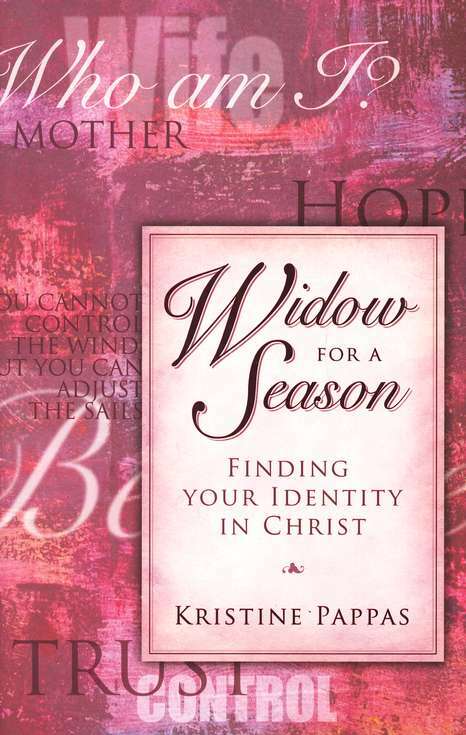 There is an even more extensive study along with resources for encouragement on Kristine’s website –http://www.widowtowidow.net Listed also are specific verses for you to print out and put onto a key ring for daily review and encouragement. Pappas has remarried, but continues to minister to widows through her book and her website. Thank you, Kristine, for sharing with widows what you have learned through the loss of your husband and in your grief journey. On June 28, 1987, a plane crash took the life of Verdell’s husband Creath and three of their very closest friends leaving her with one married son and a son and daughter in college. Creath was a minister for more than 27 years. 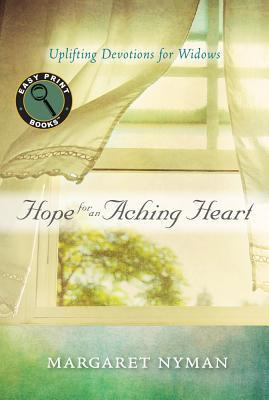 In this book she shares very honestly the emptiness, the questions, and the fears that plagued her steps, but she also tells of the hope that anchored her soul when there was no desire to go on living. Right after Creath’s graveside service, Verdell found herself standing at the entrance of a very deep, dark tunnel that she didn’t want to go into. She kept trying to turn around and go back, but there was no life as she had known it to go back to. She knew she had no choice but to walk through all the pain and heartache and questions and dark despair and had no assurance that she would ever come out on the other side a whole person. “The tunnel was dark indeed, and I was sure, endless. Each morning I awoke and found myself still surrounded by darkness. Taking care of menial tasks required enormous effort. Trying to stay with a conversation was sometimes beyond me–I would often be in the middle of a sentence and forget what I was saying. In fact, remembering anything seemed like a miracle. Trying to talk with lawyers and insurance representatives who were working with me on estate matters had to be as challenging for them as it was for me. I know I asked them the same quetions over and over, not sure if I didn’t understand the answer or just couldn’t remember it,” says Verdell. Verdell shares that she has learned in her grief journey that the candle on the toe of each shoe is really enough because God himself is the candle that lights the way through the darkness one step at a time. Even so, she found herself questioning God and everything she had been taught and everything she had ever believed. She found herself embracing her questions and discovered that rather than creating more doubt, they were raising up faith. Instead of turning her away from God, they drew her toward him. 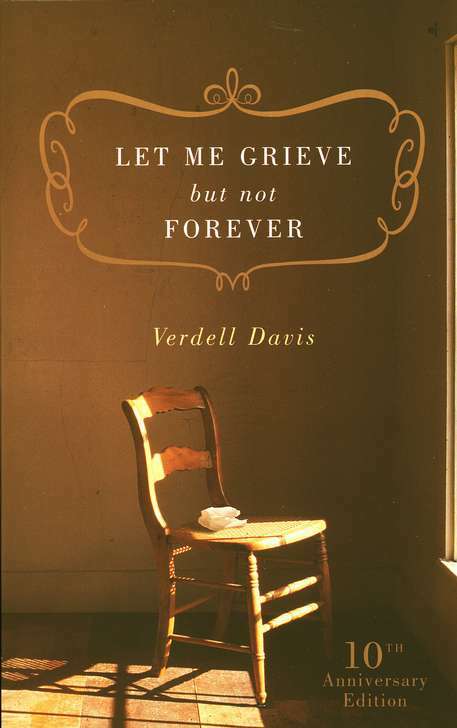 Words that Verdell uses to describe her grief journey include empty, alone, weary, frightened, inadequate, lonely, guilty, tired, overwhelmed, angry, doubtful, and painful. Yet, alongside those words of heartache she also includes the words grateful, joy, anticipation, blessings, goodness, love, miracle, peace, acceptance, trust, and hope. “In the valley and at points along the way, God gave me a hug here, a word of encouragement there, a little light in a very dark stretch of road, a glimpse of eternity, a reason for hope–but nowhere did he show me a shortcut through the valley. He simply kept leading me along and reminding me, as I was able to hear it, that no matter how alone I felt, I was not alone”, writes Verdell. She admits that she does not let go easily of either pain or pleasure and often asks the same “Why?” question of both. She looks at each from the inside, the outside, the upside, and the downside. When she reaches the place that she has wrestled with an issue in her life and refused to let it to until she can sigh as she thinks of it rather than moan, or she comes to accept that it can only rest in the hands of God, then she knows that the experience has become a apart of who she is and she is richer for it. In the last chapter of the book Verdell writes about the three things that beginning the journey toward healing requires and expounds on those a bit. I have to say that this book is one that can be read several times during a widow’s grief journey because it is so rich and helpful. Verdell, I’m so very thankful to you most of all for asking all your questions and for sharing especially that part of your grief journey. Mildred and Mark Krentel endured many hard grief journeys in their lives. Their daughter Martha died suddenly at the age of six months. Their second daughter Melissa was born with Down’s syndrome. Because of their burden for children with Down’s syndrome, they began a ministry called Melmark that served children and young adults with disabilities. In 1990 Paul was diagnosed with Alzheimer’s complicated by Parkinson’s disease and after taking care of him at home for 6 years, Mildred was thrust into the journey of widowhood on November 11, 1996. This book begins with several chapters where the author shares her story of all emotions and loneliness that she goes through during those years of caring for her husband watching him slowly slip away from her. Later she shares the restlessness that she felt during the holiday season of the 2nd year without her husband – that time when she was trying to find a new identity – and how she decided to take her daughter and run away on an Auto Train from Pennsylvania to Florida for Christmas. Shortly after her return home an old friend suggested that Mildred go to Africa as a short-term missionary. Not knowing what else to do, she applied and at the age of 76 became the oldest person accepted. She became so completely homesick that she was unable to complete her term before returning home. She began to ask herself if she had bombed out. “For the last 8 years, I had become so entangled with my role as a caregiver that I failed to anticipate my own needs. I had expected my grown-up, married children to fill in the blanks. Now I know that God intends me to lead my own life, depending on Him. Even to the point of not allowing the opinions of others to disrupt what He tells me in the quiet of our times together. It is as though I experienced a new birth kind of thing. He was growing me up for widowhood. I had a new focus……Here I am–bound by my own frailties. A widow, not by choice, but by design. God’s! Does God know what He’s doing? In theory, I know the answer to that…….Every day there is a new assignment, an unexpected challenge but still and always….God!” says Mildred. In the pages of this book you will be able to feel the heart of Mildred Kentrel and the highs and lows of her grief journey. She bares her soul and tells of her ups and downs and the questions she has of God. Her main purpose of her writings is to “show you what God can do with poor material”. A very heartfelt thanks goes out to you, Mildred, for sharing your story with us!